Other colleagues of mine study Alpine chipmunks, which live high on the tops of mountains and spend the winter hibernating, protected from cold temperatures by the insulation of snow. If it doesn’t snow in the mountains, the chipmunks may freeze. 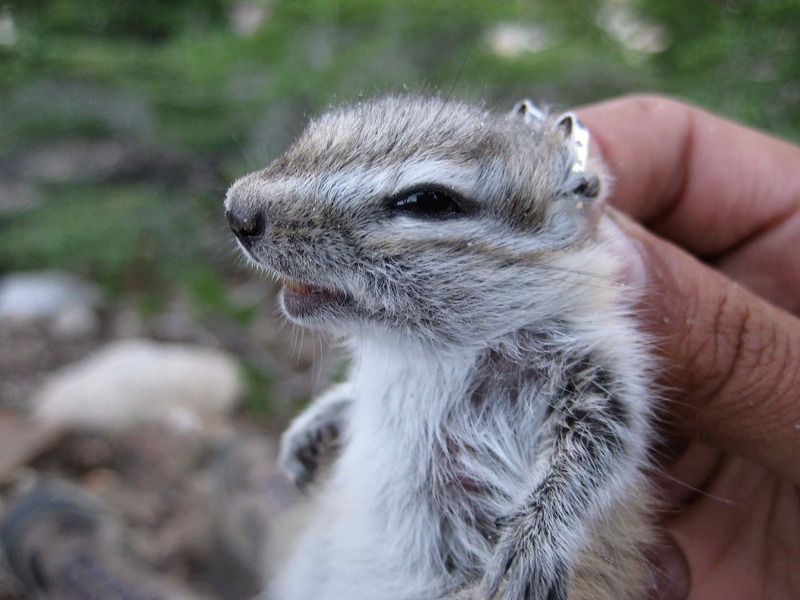 Alpine chipmunk, none too pleased to be personally experiencing field biology. The juncos aren’t nearly so vulnerable. Drought or no, there will be juncos for a while yet. 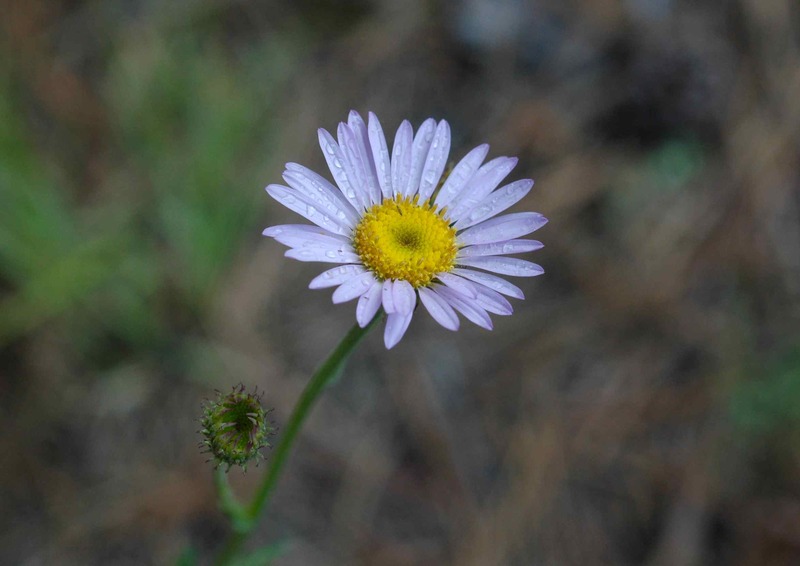 And so we come to my most personal reason for hoping for rain this winter, smaller than food and jobs, narrower even than Black Rails and Alpine chipmunks: my own research. Because it is part of a PhD program, my research on juncos is constrained to be relatively brief: just three truly-comparable field seasons. Two of those field seasons have happened already, and both have been drought years. This means that any pattern I see in those two years might be normal and a good example of how the birds generally behave—or it might be unusual, caused specifically by the drought. If this year is a drought year as well, the same will hold. With only drought years in my dataset, I cannot tease out any effects of the drought, because there isn’t anything to compare with. On the other hand, if it rains enough this winter, my third field season won’t be a drought year. With two drought years and one non-drought year, I would be able to look for differences. I would be able to compare the years and try to figure out how the drought affects the juncos. That would potentially be quite interesting. The junco chicks do not think it would be all that interesting, honestly. Of course, we field biologists have to be adaptable. If it does end up being a third drought year, I’ll find a way to take advantage of it somehow. 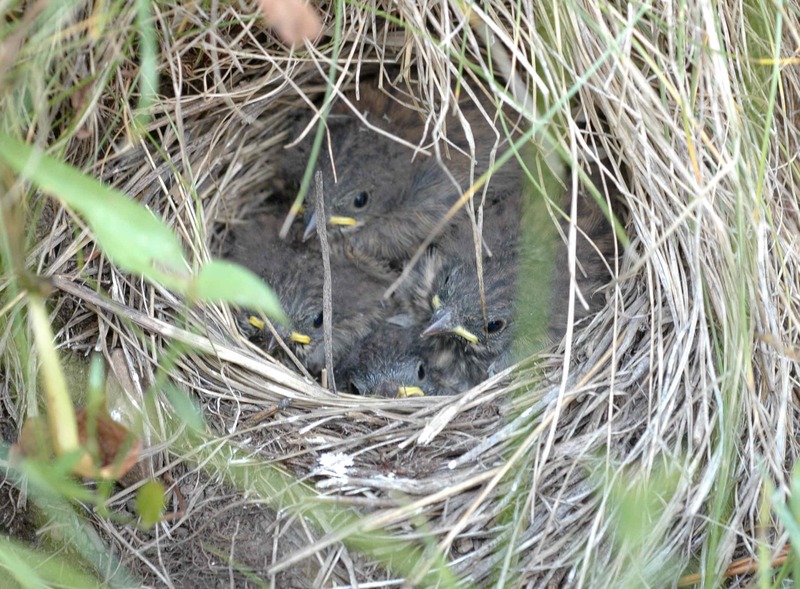 Weather “disasters” have often held silver linings for field biologists, from the storms and droughts that led to seminal work on Galápagos finch evolution, to the volcano that recently erupted over my research advisor’s field site. She has been tromping through volcanic ash to see how her study animals are coping with the disaster. But I would really prefer that it not be another drought year, for the farmers and the avocados and the rails and the chipmunks and my own PhD. We’ve had a few storm systems this winter—a good start. Here’s hoping it continues. 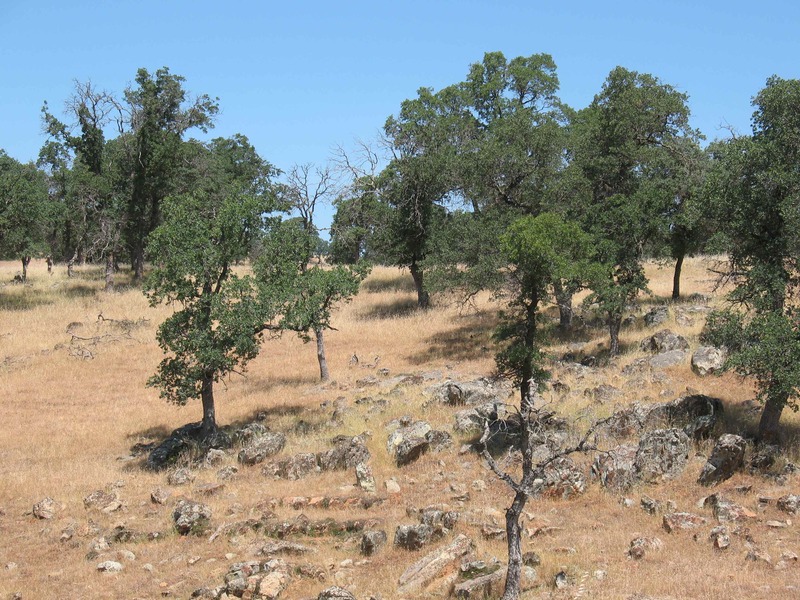 This entry was posted in field work, my research and tagged California, climate, drought, rain, weather by toughlittlebirds. Bookmark the permalink. Hi Katie! I wrote a nice long comment the other day and it disappeared…my confused state regarding my ignorance at already having a spot within wordpress which I’d forgotten I ever had — so this may disappear too? Anyway I found out about your blog from your mother as I met her through her friend Roseanna…I love reading about your work. I find science calming, facts reassuring and observble after my own work as a social worker dealing with messy though important emotions! Thanks so much for your nice words! I’ve found and revived your previous comment – it set off my spam filter somehow.